Feast: Jury Duty | CookDrinkFeast! The night before jury duty I sent out a plea via Facebook and Twitter for lunch recommendations. Thank goodness for my foodie friends. The first recommendation was for the halal cart in front of the courthouse (Thanks Jon!). Baltimore City gives jurors $15 in cash as compensation. I was able to get a great lunch from the halal cart for $5. I had a lamb gyro. The lamb was tender and flavorful. It was served on a warm pita with a creamy sauce that and a spicy sauce. I think it usually comes with lettuce, tomatoes, and onions. However, I asked for a “salad on the side” so they wrapped them up in a separate piece of aluminum foil. The meal came with a drink, so I went the healthy route and got a bottle of water. 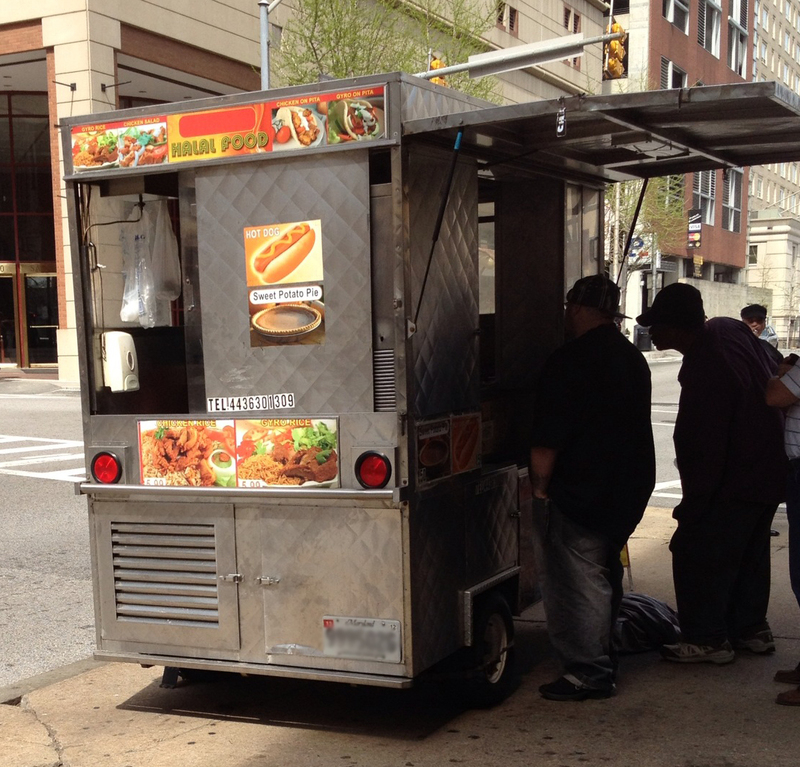 The halal cart is usually located near the Clarence Mitchell Courthouse on Calvert Street during the week. Sadly they do not come out on weekends. The meal was cheap, flavorful, and filling. Also, it was the best part of jury duty. That was an excellent tip, Jon!